Wifite is for Linux only.Wifite is an automated wireless attack tool.Wifite was designed for use with pentesting distributions of Linux, such as Kali Linux, Pentoo, BackBox; any Linux distributions with wireless drivers patched for injection. The script appears to also operate with Ubuntu 11/10, Debian 6, and Fedora 16.Wifite must be run as root. This is required by the suite of programs it uses. Running downloaded scripts as root is a bad idea. I recommend using the Kali Linux bootable Live CD, a bootable USB stick (for persistent), or a virtual machine. Note that Virtual Machines cannot directly access hardware so a wireless USB dongle would be required.Wifite assumes that you have a wireless card and the appropriate drivers that are patched for injection and promiscuous/monitor mode. Wifiphisher is a security tool that performs Wi-Fi automatic association attacks to force wireless clients to unknowingly connect to an attacker-controlled Access Point. It is a rogue Access Point framework that can be used to mount automated victim-customized phishing attacks against WiFi clients in order to obtain credentials or infect the victims with malwares. It can work a social engineering attack tool that unlike other methods it does not include any brute forcing. It is an easy way for obtaining credentials from captive portals and third party login pages (e.g. in social networks) or WPA/WPA2 pre-shared keys.Wifiphisher works on Kali Linux and is licensed under the GPL license. 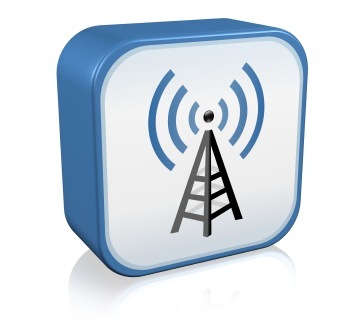 FruityWifi is an open source tool to audit wireless networks. It allows the user to deploy advanced attacks by directly using the web interface or by sending messages to it. A toolkit for rogue access point (evilAP) attacks first presented at Defcon 22. More specifically, it contains the improvements to KARMA attacks we implemented into hostapd, as well as some useful configs for conducting MitM once you’ve managed to get a victim to connect. Much like wifi-pumpkin interface. Has a good graphical interface, the overall experience is very good, good ease of use. Good compatibility. Researcher has hardly been updated. It has a good graphical interface, but almost no fault tolerance, many options easily confusing, but the overall feeling is still very good use. It can be a key to establish rogue ap, and protect dhcp, dns services interface, easy to launch a variety of middle attack, ease of use is good. Compatible good. Kali has been made official team updated original repo. Fluxion is a remake of linset by vk496 with (hopefully) less bugs and more functionality. It’s compatible with the latest release of Kali (rolling). The attack is mostly manual, but experimental versions will automatically handle most functionality from the stable releases. In this guide, I’ll walk you through setting up a pentesting USB drive that also works well for other IT professionals. Fortunately, the days of carrying around a CD binder full of your various tools are long gone. With the lower prices of USB drives and their increased capacity, you can easily keep a large number of tools at your disposal. About this Guide: This guide is intended for educational purposes only. The author of this guide is not responsible for misuse, damaged, loss, altered, files and hardware. First let’s head over to grab Yumi. Yumi is a multi-boot loader for USB drives and the primary tool we’ll be using. Yumi allows you to easily add and remove programs without having to wipe out your drive. On the right side of the menu, we have the option of formatting the USB drive, View, ADD, or Remove distributions. I’m going to assume you have a clean USB drive. Next, we’re going to click the drop-down arrow listed on Yumi’s “Step 2”. As we can see, there are a large number of programs listed here. As this is going to be my penetration testing USB toolkit, and I’m a big fan of Kali Linux, so that’s what I’m going to select first. 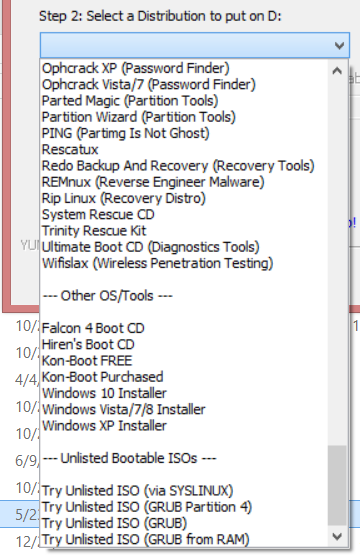 With Yumi, you have two options to install these programs to your drive. You can either download the ISO ahead of time, or for convenience, you can click the “open download link” option. This will obviously open the program’s download link for you, saving you time searching for it. Depending on how large the ISO will determine how much time it takes. You should see a dialogue box telling you how the install is progressing. From here, you’ll have the option to load additional ISO’s to your drive. If you decide to load additional programs, simply follow the above steps. Another great feature about Yumi is that if you have a particular ISO that you want loaded and it’s not listed in their menu, it’s no problem! Follow the instructions as if you were going to install any other ISO, when it’s time to select your ISO scroll to the bottom of the list. The option that I normally select is “Try Unlisted ISO (via SYSLINUX). We have all the programs we want loaded by way of Yumi. What’s next? Well, we have a pretty good toolset now, but there is always room for improvement. Keeping with the idea of a portable toolset and keeping the entire thing free (minus the cost of your USB drive), our next stop is Portable apps http://portableapps.com/. If you never have used this program or heard of it before, Portable apps, as the name implies, is a set of portable tools that can be launched from your USB drive. The great thing about this is you can take all of your favorite apps to another person’s computer without installing it to their machine. After downloading Portable apps let’s go ahead and launch it. The initial install is pretty straight forward, so simply click through. When we reach the “Install Type,” we’re going to choose “Custom Install”. The next option gives us a wide range of locations to install to. For this guide, we’re going to choose the first option, “Portable”. After the program installs you will be presented with a list of software. Simply select which programs that you want to install and click “Next”. The last program that we’re going to install is similar to Portable apps. This one is called NirLauncher. The reason I include this one (in addition to Portable apps) is that it has a number of tools that can be useful for penetration testing. It’s also free and updated frequently. This one is far easier and faster to setup since the installer has all of the programs pre-installed. Simply download the program and unzip it to your USB drive. We’ve seen how to launch the other 2 programs; let’s take a look at booting our primary drive. Plug your USB drive into the computer you want to boot off of and have it boot from the USB drive. Depending on how the BIOS is configured, you may need to interrupt the boot sequence and select the drive. If your drive still does not show up or is not a option, you’ll probably need to login to the BIOS and make sure that USB boot is not disabled. When the drive does boot, you’ll see the menu screen. Simply navigate to the program you want to run and hit the “Enter” key. If you wish to create a custom image for the Yumi menu, open your USB drive and then open the “multiboot” folder. There, you’ll find a .png file called “yumi”. Edit this file however you wish. Make sure the resolution, name and extension match the original. Yumi is a very powerful tool. We can use it to boot to our own custom OS without touching the host machine. We can use it for data recovery, forensics, password hacking, hardware scanning, etc. – all for the cost of a single USB drive. PRET is a new tool for printer security testing developed in the scope of a Master’s Thesis at Ruhr University Bochum. It connects to a device via network or USB and exploits the features of a given printer language. Currently PostScript, PJL and PCL are supported which are spoken by most laser printers. This allows cool stuff like capturing or manipulating print jobs, accessing the printer’s file system and memory or even causing physical damage to the device. All attacks are documented in detail in the Hacking Printers Wiki. The main idea of PRET is to facilitate the communication between the end-user and the printer. Thus, after entering a UNIX-like command, PRET translates it to PostScript, PJL or PCL, sends it to the printer, evaluates the result and translates it back to a user-friendly format. PRET offers a whole bunch of commands useful for printer attacks and fuzzing. PowerMemory is a PowerShell based tool to exploit Windows credentials present in files and memory, it levers Microsoft signed binaries to hack Windows. The method is totally new. It proves that it can be extremely easy to get credentials or any other information from Windows memory without needing to code in C-type languages. In addition, with this method, we can modify the user-land and kernel land behaviour without being caught by antivirus or new defending techniques. It can actually be done with 4GL language-type or with a scripting language like PowerShell which is installed everywhere. With that being said, this technique implies that the detection is made hard due to the fact that we can do pretty much what we want by sending and receiving bytes. You can use the module waiting to be integrated to leave Wonder Land and launch a crafted advanced attack with PowerShell Empire serving as the vector. User account control was developed by Microsoft in order to restrict unauthorised applications to be executed with administrator level privileges unless the administrator supplies his password to allow elevation. In penetration testing this means that privilege escalation can be stopped through Meterpreter due to UAC. Matt Nelson discovered and explained in his blog that it is possible to bypass UAC by abusing a native Windows service such as Event Viewer by hijacking a registry key. This can be achieved due to the fact that the process of Event Viewer (eventvwr.exe) is running as a high integrity level and because Event Viewer is loading through Microsoft Management Console via the registry. The first registry location doesn’t exist so mmc.exe is executed from the second location which then loads the eventvwr.msc file in order to display the information to the user. Therefore it is possible for an attacker to create the registry location that doesn’t exist in order to execute a process with High level integrity bypassing in that way the User Account Control (UAC). When the eventvwr.exe will be executed the command prompt will be opened directly without requiring any elevation from the UAC. This technique is considered very stealthy since it doesn’t touches the disk and it doesn’t do any process injection avoiding the risk of being discovered by an antivirus or a security solution that monitors the behaviour of processes. However a malicious and undetectable payload can be used as well instead of command prompt in order to get a proper Meterpreter session and escalate privileges with one of the techniques that Meterpreter is using via getsystem command. Metasploit module handler will capture the elevated Meterpreter session which from then privilege escalation is possible since user account control is already bypassed. Alternatively there is a Metasploit module which automates this process above returns an elevated Meterpreter session. Reflective DLL injection is a library injection technique that is primarily used to perform the loading of a library from memory to host processes. The library should therefore be able to load itself by implementing a minimal PE file loader, managed with minimal interaction between the host system and processes. Nishang is a PowerShell-based penetration testing tool. Integration of frameworks, scripts and various payloads. These scripts are written by Nishang’s author in the real penetration testing process, with actual combat value. Including the download and execution, keyboard records, dns, delay commands and other scripts. Executes PowerShell from an unmanaged process. With a few modifications, these same techniques can be used when injecting into different processes (i.e. you can cause any process to execute PowerShell if you want). Unicorn is a simple tool for PowerShell downgrade attacks and direct injection of shellcode into memory. 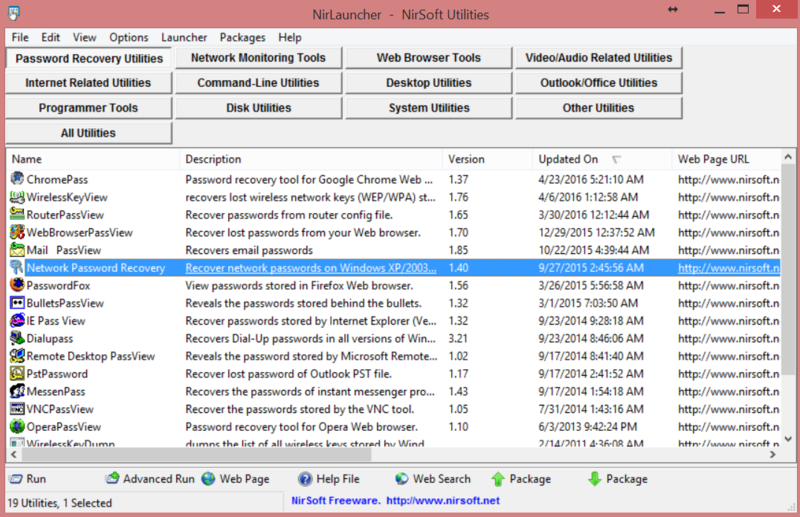 The tools in this directory are part of PowerSploit and are being maintained there. They are preserved here for legacy, but any bug fixes should be checked in to PowerSploit. PSRecon gathers data from a remote Windows host using PowerShell (v2 or later), organizes the data into folders, hashes all extracted data, hashes PowerShell and various system properties, and sends the data off to the security team. The data can be pushed to a share, sent over email, or retained locally. 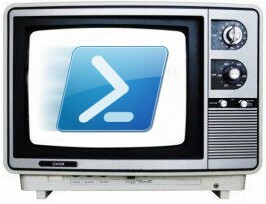 PowerTools is a collection of PowerShell projects with a focus on offensive operations. PowerShell module for reverse engineering, can be disassembled hosting and unmanaged code, for. 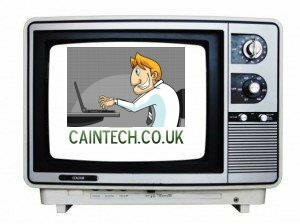 NET malware analysis, analysis of memory, parsing file formats and memory structure, access to internal system information. PInvoke.net is primarily a wiki that allows developers to find, edit, and add PInvoke’s * signatures, user-defined types, and any other information associated with calling managed code for Win32 and other unmanaged APIs. PowerShell TCP / IP Swiss Army Knife for Netcat & Ncat. PowerSploit is the set of PowerShell modules in Microsoft that can help Infiltrators evaluate at all stages.